Well, the name suggests a return to musical roots, or nostalgia, doesn't it? The place was Detroit. The time was the early 1960s. The people were two singers and lifelong friends, a tenor and a baritone, Henry "Hank" Dixon and Walter Gaines. Plus Freddie Gorman, a bass and mailman with a songwriting knack ("Please Mr. Postman"). Plus Crathman Plato (C.P.) Spencer, a tenor and ex-Voice Master. Let's specify the time a bit: 1961. Gorman soloed at Motown. The other three signed up with the company by 1964 through Lamont Dozier. They made their voices, if not their names, known across records by the Supremes, Stevie Wonder, Marvin Gaye, and others. As those singers' fame went up after 1965, the soul quartet only continued to back them up. Those four guys got a collective identity in 1966: the Originals. With former Falcon and Contour Joe Stubbs as the lead (for less than a year), they remade the Leadbelly song, "Goodnight Irene," but continued the background gigs until 1969. Joe Stubbs had become a 100 Proof Aged in Soul member and the Originals were a quartet again when the latter floated up the pop and R&B charts with "Baby I'm for Real." 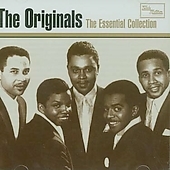 While 1969 found other Motown groups modernizing their sounds, the Originals reversed musical directions and found their place in graceful doo-wop. This Originals biography will move forward, however, to their success with "The Bells" in 1970, their hiring of solo falsetto Tyrone "Ty" Hunter the next year, their commercial stagnation after Motown moved to Los Angeles, and their decision to follow the company there. They also went "Down to Love Town," a successful attempt at disco. Its same-named album gave them the chance to write and produce their own tracks. 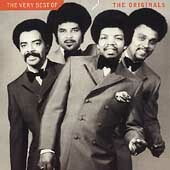 They added more self-made records to their discography after leaving Motown in 1978 and allying with Fantasy. But 40-year-old Ty Hunter's death on February 24, 1981 cut short their long-term prospects. What do you call a group when its oldies-style songs become actual Motown oldies? "The Originals" still worked fine in 1992 when they joined the Motorcity label! This time, they shared star status with the Supremes on "Back by Popular Demand." Basking in the past hasn't slowed down the future. More group members have died, including Joe Stubbs in 1998 and 65-year-old C.P. Spencer on October 20, 2004. Still, the Originals always knew how to sound timeless. So they are now. Want to take yourself home to other artists after this Originals biography? More good readin' is just a click away.